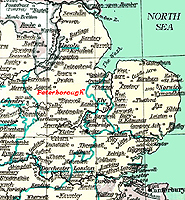 Supposedly founded by Peada, King of Mercia, ca 650. 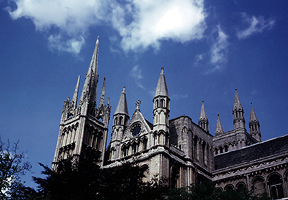 Church was destroyed by fire in 1116. Cartwright, J.L. 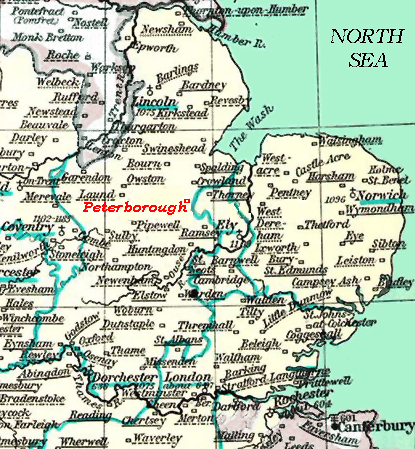 The pictorial history of Peterborough Cathedral, cathedral church of St. Peter, St. Paul and St. Andrew [by J. L.
Reilly, Lisa A. 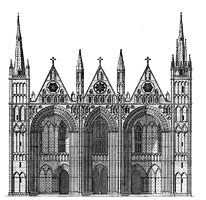 An architectural history of Peterborough Cathedral / Lisa A. Reilly. Oxford : Clarendon Press ; New York : Oxford University Press, 1997.